It is very natural to follow the practice with a sitting meditation. Sacred Movement Ritual can be done inside or outside in nature. 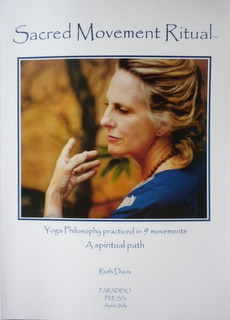 Many parts of the movement relate to nature and as such the nature helps us to receive the teachings more deeply. 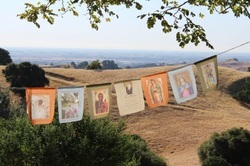 After years of devotion to Mother Mary I was inspired to create these beautiful Mary Prayer Flags. They are images from Mary Shrines that I have visited from around the world.